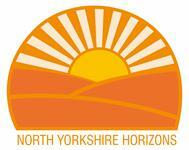 We are a new service delivering specialist drug and alcohol services commissioned by North Yorkshire County Council. The service provides treatment and recovery support to adults with Drug and Alcohol dependency. Our aims are to help as many people as possible to recover from drug and alcohol dependency in North Yorkshire and to reduce the harms caused by drug and alcohol use to both individuals and communities. Referrals can be made through the SPOC where an initial assessment can be undertaken and appointments made to see one of our clinical or recovery staff, and information, advice and support will be offered to individuals and their families. Over time the service will develop visible and vibrant recovery communities which will inspire and support those with problems to successfully reintegrate back into communities. Please come along to our weekly SMART Recovery meetings and Recovery Café.